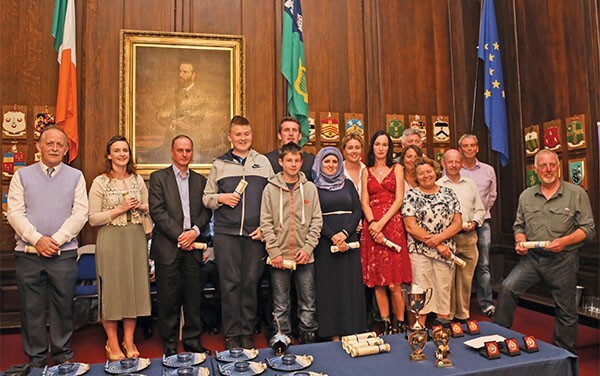 Minister Aodhan Ó Ríordáin presents The Spellman Centre certificates to members of the various community groups that completed the Drug Awareness education course facilitated by the Ringsend and District Response to Drugs. Our web editor is still searching for the best dish in Beantown, but we managed to share some of the stories from our most recent issue on NewsFour.ie and on Facebook and Twitter! Ringsend and District Response to Drugs (RDRD) celebrated its 20th anniversary in the Spellman Centre in Irishtown this year. Find out how Tom Reichental is trying to drawing positives from the Holocaust through his work. Dublin 4 is represented in Ireland Women’s Sevens Rugby by local girl Stacey Flood, who plays out of Railway Union! All of us at NewsFour were saddened by the news of the passing of our long-time contributor Noel Twamley in July. Find out what’s hitting Dublin big screens this week! The pendulum of the seasons swings from side to side celebrating nature’s ongoing pageant. Don’t the seasons go by quickly? 18th June saw the return of the Dublin Lunchtime Cycle. Dublin City Council have been unceasing in trying to get bums on saddles for some years now, and this event is a highlight of National Bike Week (which ran from June 13th to 20th), which promotes cycling as a leisure and commuting option across the country. Clyde Champion Barrow and Bonnie Parker were born in Dallas, Texas. Both grew up in abject poverty. Clyde’s family were so poor they all slept under wagons every night until, many years later, Clyde’s father got a tent to house his family. Small wonder Clyde grew up to become a killer and robber.